Using a VPN (Virtual Private Network) is essential for staying secure and anonymous on public networks and accessing geo-blocked content. 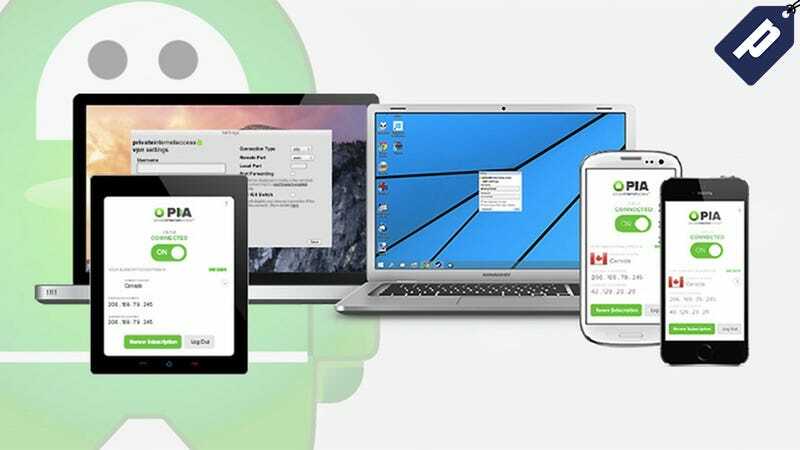 Private Internet Access is one of the top-rated VPN services around, and for a limited time Lifehacker readers can get a 2 year subscription for $60 - over 60% off MSRP. With Private Internet Access, the only gateways to the outside Internet are the ones you open. High-level encryption ensures you’ll put an end to incessant digital advertising, while IP cloaking lets you access geo-restricted content from anywhere in the world. A normal subscription costs $6.95 / month, but today only, Lifehacker readers can get a 2 year account for just $59.95 - a savings of over $100. Hit the link below to find out more and get yours today.